Jerry “The King” Lawler has been pretty stale for the past few years on commentary. His commentary ability seems more phoned in now than ever before with his constant outdated jokes and Kevin Dunn inspired lines. His commentary is such an unbelievable step down from his work in the New Generation Era, Attitude Era, and even the Ruthless Aggression Era, so much that critics feel like either The King does not have it anymore or he just does not care. However, with his work on the first episode of Smackdown on the USA Network with Mauro Ranallo showing some semblance of effort the question now is can Lawler still deliver behind the desk? On the first episode of Smackdown on the USA Network, the WWE introduced new announcer and former combat sports announcer Mauro Ranallo to the Smackdown commentary team. The addition was rather random. But, it was a welcome one considering most people did not know what to expect from Ranallo coming into the show. His style as far as combat sports goes seems definitely counter towards the current product, especially on Raw where the current announce team is just an amalgamation of “What a maneuver, "“Oh my!," “Maggle," and stale silence throughout random parts of the show. His announcing on this show was very straightforward and helped focus on the matches in the ring and put over the talent to where the matches felt big. 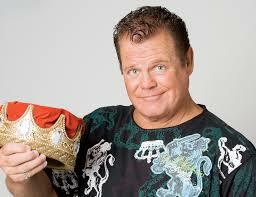 With his improved style of work for the product comes a change in Jerry Lawler. During the mid to late 1990’s Jerry Lawler made for a great heel commentator. He and Jim Ross bounced off each other well with Jim Ross’s more serious style of play by play commentary and Lawler’s heel antics. In his segment last Friday on the Taz Show, Jim Ross noted a conversation he had with Jerry Lawler where he said Lawler wanted to gain an edgier style of commentary and it definitely showed on this episode. While Jerry Lawler still had his usual babyface gimmick in his commentary, he had the opportunity to open up a little more and have lively banter with Ranallo. In the match Becky Lynch had with Charlotte for the Divas championship Lawler and Ranallo got in a bit of a back and forth conversation about Becky Lynch’s experience and it did not seem like heel Jerry Lawler in a sense, but it made the action in the ring seem more important. With Smackdown moving to the USA network WWE clearly wants to bring a different flavor to the brand than what is on Raw, but it will take more than just a new announcer. 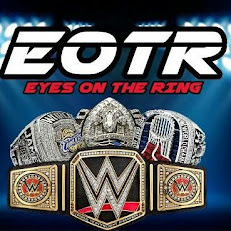 However, with the introduction of Mauro Ranallo and Jerry Lawler actually giving more of an effort to the product not only could Smackdown seem more like a fresher product. But, Lawler could have a resurgence and end his career on a high note. While Byron Saxton seems like the odd man out in the announce team, he can learn a lot from both guys since he is very young and could possibly be Lawler’s replacement on the show once he leaves (if not him, then possibly Corey Graves). The possibility of Smackdown improving in ratings through consistent good wrestling and solid commentary is there, WWE just has to remain focused on that goal. Just to do what make you quiet to completely separated from a person sitting along at put into operation style. Following having a few times with mid-major March Madness championship game titles claiming the college or universityMarch Madness Live field hockey spotlight, the Power 5 March Madness Live Stream conference tournaments commence to take center stage today. These types of are the games that will help define how a bubble and the rear end of the NCAA March Madness Bracket Tournament bracket shakes away. Interesting article! Thank you for sharing them chris pratt jacket for sale. I hope you will continue to have similar posts to share with everyone.